Born in Lancaster, PA she was a daughter to the late Delfino Talarico and Elvira (Trinca) Patton. 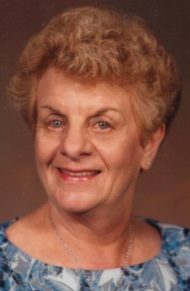 Ida was the epitome of family, she was a loving and doting wife, mother and grandmother. At home with a good book was her favorite place to be, but she also enjoyed going on cruises with her husband, Gerald. She had a love of animals, especially for dogs. In addition to her husband, Gerald, she is survived by her son, Gary Ressler; daughter, Tammy DeSantis and granddaughter, Ashley DeSantis. She was preceded in death by two brothers and one sister. There will be a memorial service on Friday, January 25 at 10am at Charles F. Snyder Funeral Home & Crematory, 3110 Lititz Pike, Lititz, PA 17543. The family will receive guests from 9 am until the time of service at the funeral home. In lieu of flowers, memorial contributions may be made to: Visiting Angels of Lancaster, 2141 Oregon Pike, 2nd floor, Lancaster, PA 17601. Tammy, what a lovely video celebrating the life of your mother. The memories of her will get you, your family, along with Gerry through the mourning of her passing. Thoughts are with you all. Warmly Susie K.
We have so many fond memories of time spent with you and Ida and know that she is at peace and with our Lord. You are in our thoughts and prayers!